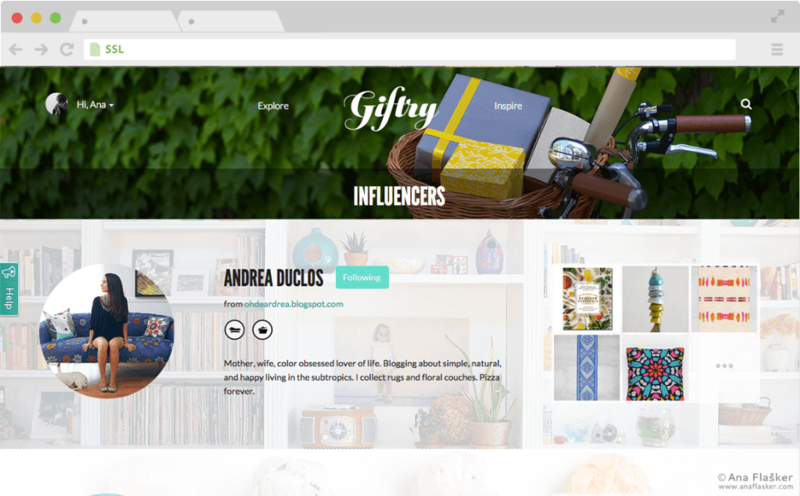 Giftry helps you find the perfect gift. 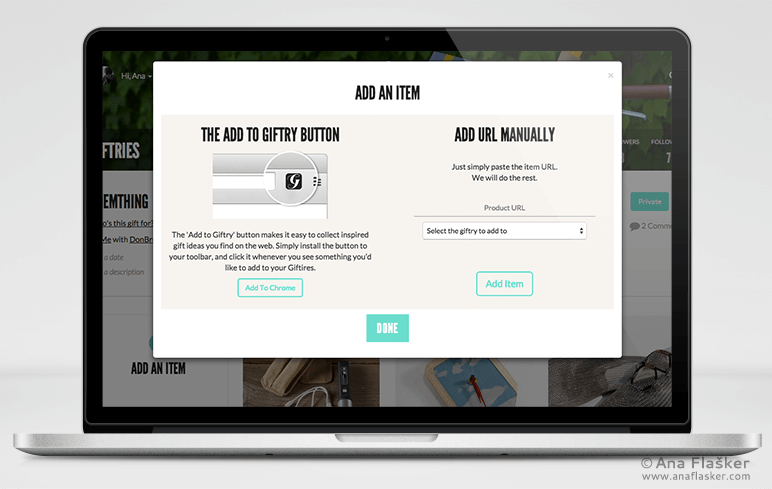 Add an item from anywhere, explore what is already on Giftry, share it with your friends. 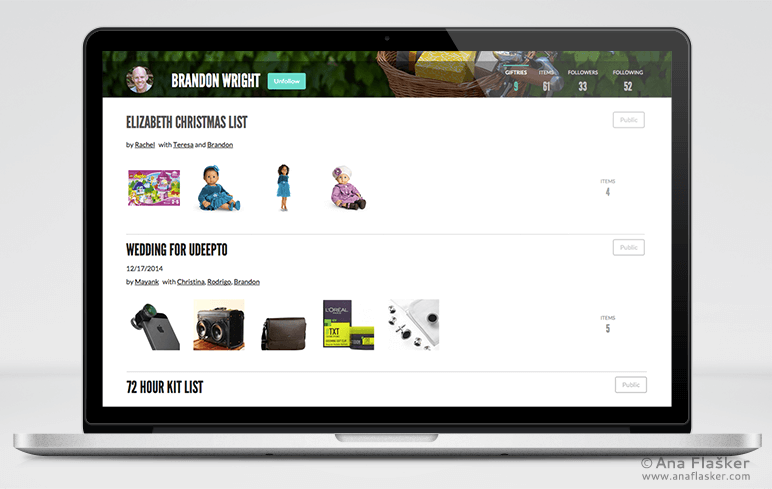 I joined Giftry team working on web application only as UI/UX designer and I also took a role in front-end stuff. 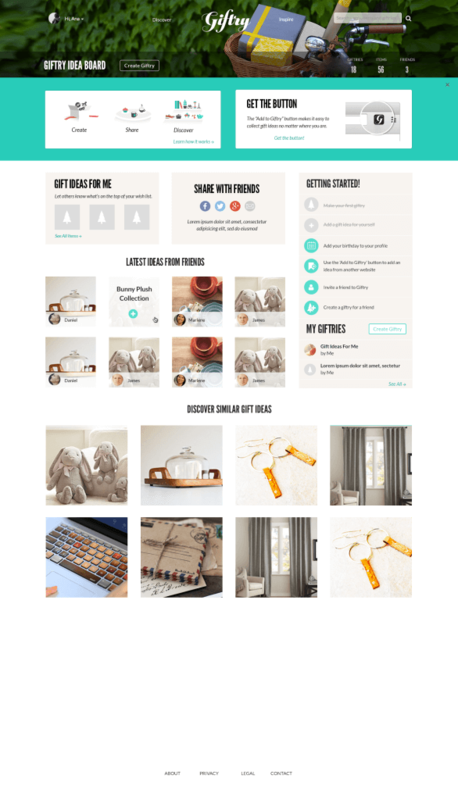 There were quite some iterations, ideas and experiments to get Giftry v. 2 out before focusing only on mobile app development. 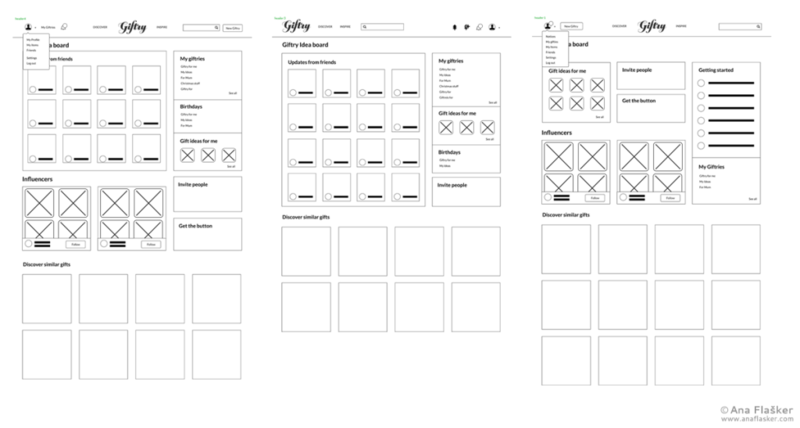 Here are some screenshots and wireframes of Giftry web application. 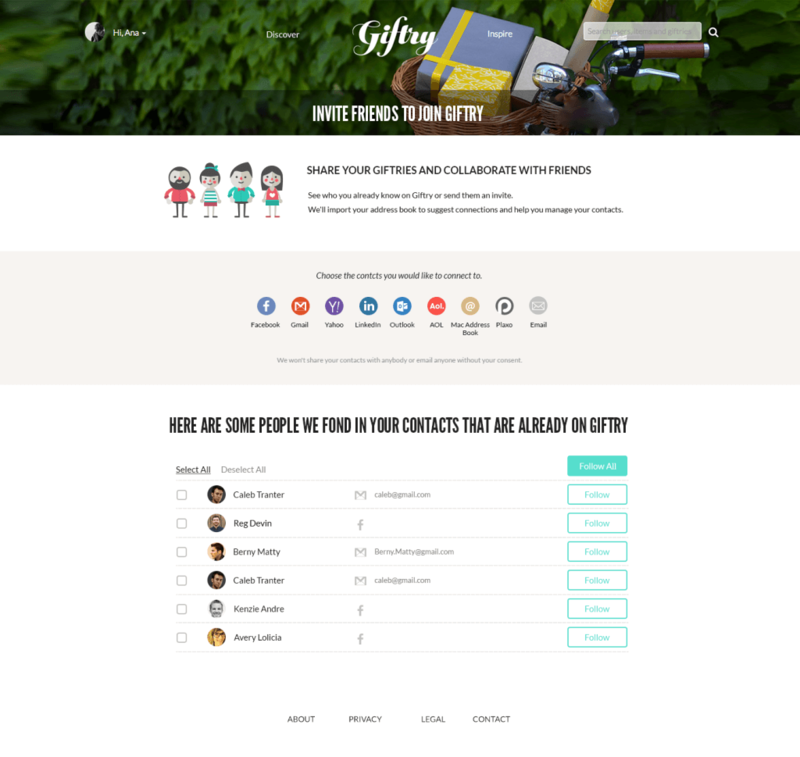 Edit: Giftry mobile app was named in 20 most fascinating iOS apps by TechCrunchs Disrupt in 2015. Congrats!